On Sunday, the Grand Mosque’s doors were open for an open house which welcomed over one thousand visitors! It represented the climax of our outreach efforts for the year Alhamdulilah. Visitors enjoyed informative mosque tours, cultural displays, Henna, calligraphy, opportunities to ask questions to a panel of experts, and tasty refreshments. The open house generated very positive publicity for our community, and more importantly, good will. 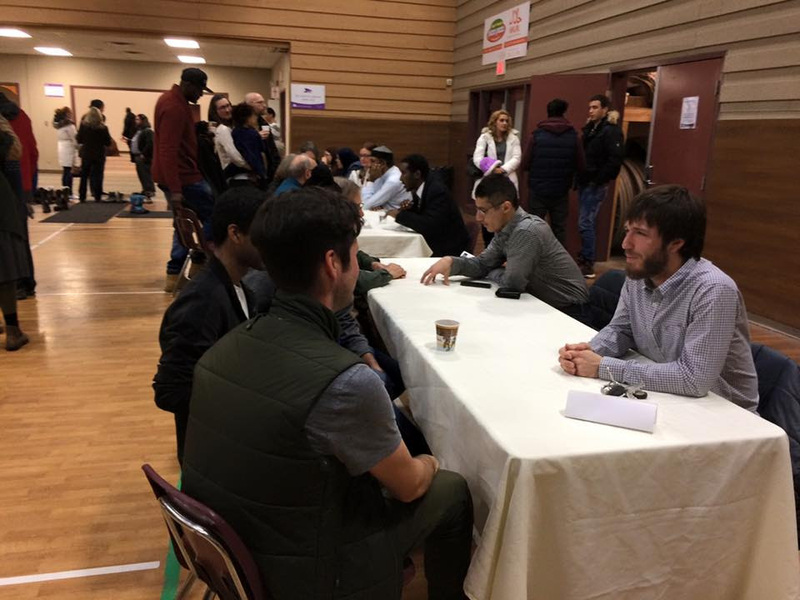 Special thanks go to the MIA Events Committee and all the volunteers who setup, cleaned up, conducted tours, fielded questions, provided Henna and calligraphy, literature about Islam, greeted the guests, organized parking and provided refreshments. Particularly touching at the open house was the presence of some new arrivals to the community, Syrian families who had just landed in Winnipeg a few days ago and this was their first visit to the mosque. Ahlan wa Sahlan!